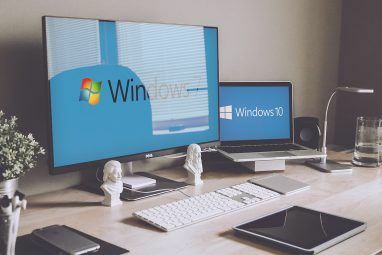 No sooner had the dust settled over the bumpy transition from Windows Vista to Windows 7, than Microsoft started fueling interest around its upcoming new operating system, codenamed Windows 8. In June they previewed the new PC OS via the Microsoft YouTube channel, followed by a demonstration at the Computex 2011. Over the past year they have also provided BetaArchive and other sources with a steady leak of Milestone Builds. 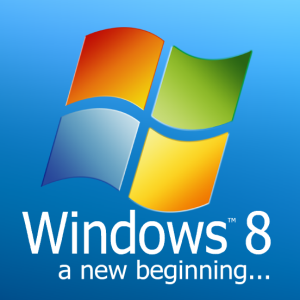 Windows 8 is expected to be released in the fall of 2012, only three years after the official launch of Microsoft’s present flagship Windows 7. Do you wonder what Microsoft has up its sleeve? In this article I have summarized the most important changes and new features, providing a brief overview of what you can expect to see in Windows 8. Will Windows 8 really be a new beginning? While Windows 8 is evidently designed to be compatible with touchscreens, it will of course support mouse and keyboard, making the transition for those not yet accustomed to touchscreens a little less stressful. On the other hand, touch technology is generally very intuitive to use and Microsoft’s interpretation appears to be very smooth. So expect to use your mouse a lot less! In Windows 8, the standard desktop will be replaced by a Metro style user interface (UI). Metro is Microsoft’s own design language, which was previously used for Windows Media Center and Windows Phone 7. On the new Start screen, desktop icons are replaced by tiles, which provide a compact and potentially live preview of the app. Using the touch interface, users can move to different pages of the start screen, much like in Google Android, or slide between open applications, which is a great improvement over the Windows Aero Flip feature. In an attempt to satisfy traditionalists, the standard desktop will continue to be available as an app. In mid August Microsoft confirmed that Windows 8 is going to contain an App Store. This will provide users with a central location for searching and downloading software compatible with their operating system, rather than having to deal with the websites of individual software providers. This move shows that the line between desktop and cloud-based applications continues to blur. There is good news for those eager to try Windows 8, but not keen on investing in new hardware. Microsoft announced that Windows 8 will have the same hardware requirements as Windows 7. It will run on Intel, AMD, and ARM based 32- and 64-bit chips with a minimum of 1GHz, 16G available hard drive disk space (32-bit) or 20GB (64-bit), and DirectX 9 capable graphics device with WDDM 1.0 or higher driver. Despite its slightly chipped reputation, Windows continues to be the reigning champion when it comes to shares on the personal computer operating system market (90+%). This is of course because every non-Mac computer comes with Windows pre-installed. The latest numbers from NetMarketShare, however, reveal that Windows 7 (30%) has yet to overtake its predecessor Windows XP, which remains to have a tight grip on over 50% of the market. 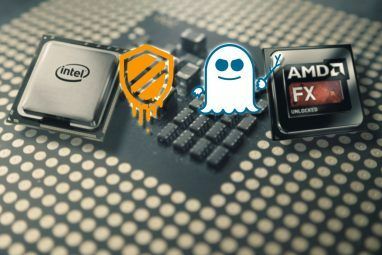 With the rise of affordable smartphones and tablets, the turnover for PC operating systems can be expected to slow down. There obviously is a lack of incentive to buy a new (Windows) computer, while the old one still works fine and novel gadgets compete for attention and financial resources. The one and only thing that is going to make a majority of customers switch from one OS to another is the hardware. With Windows 8, Microsoft is not just presenting a revolutionary new Windows (although not entirely novel), but also a hybrid operating system that will run on a range of devices. One reason for this development certainly is that we continue to see a shift from old school immobile desktop computers designed to run huge software packages, towards mobile devices predominantly running internet-enabled and cloud-based applications. Microsoft is trying to stay on top of its game. From what we can see so far, Windows 8 is a quantum leap. With the departure from the standard desktop and the focus on touchscreen navigation, it presents a revolutionary change over previous versions of Windows. The handling of apps appears to be smooth and intuitive and it will be interesting to see whether Microsoft managed to integrate this intuitive interface into deeper levels of Windows 8, such as the Control Panel. Unfortunately, previews of the Windows Explorer for example reveal much more traditional approaches. Nevertheless, I would say we shall all expect to be impressed as this should be a new beginning indeed. What are your personal expectation for Windows 8? Are you looking forward to using it or will you avoid it like the plague? I myself am not really looking foward to this new release. I like simplified things that im familiar with which usually means I dont upgrade. It kills me that a lot of cell phones and such are becoming more than phones when all i want to do is text or call someone and i have to put up with some "new and progressive" layout or feel on them. Seeing this invade the last bastion of simple straight forward computing for some fluff feel on my desktop saddens me. One childish way of comparison is the nintendo wii, when i play games... i want to play games, if i want to move more than my thumbs on a controller i will get up and go to the outdoors. Similarly, I like the fact I can move a mouse a few inches max and use anything on my comp, not hold my arms aloft for minutes at a time. While Im sure there is far more to this than just touch screen, that makes me pause because they seem to be making that feature pivotal. Which means that though mouse and keyboard will still be there for you, half of what could run will not be optimized for it with such a focus on the touch screen. Im willing to be open and see what comes out of it but all i see this as is me being slowly forced to accept a huge bunch of fluff that the younger generation will see as trendy since they dont use their braincells quite so much in the logic dept. 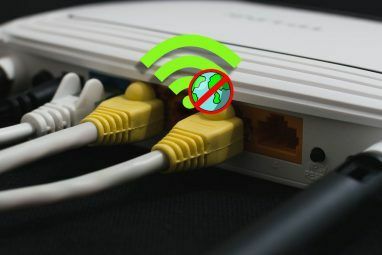 Also the strong integration of cloud computing is a turn off for me, dont get me wrong... cloud based setups are nice but only in some small sections of a system, not the whole thing unless some business setup requires it, certainly not a mainstay on my private system. Some of you will probably say im just being backwards and resistant to progress, but when I sit down at my own computer I want to be able to work or play in a simple efficient manner and if that means using a layout and feel that im familiar and comfy with then by all means I will agree and not be ashamed of it. This Windows 8 is simply pandering to the facebook generation where you will wave your arms around a whole bunch, see lots of pretty pictures and have your daily gossip easily broadcast to you without clicking an icon, and proceed to sit at the comp for hrs... and when you finally get up will have acomplished on that operating system what you could have probly done in 5 mins or less on a legacy design. But hey these days I guess thats called progress. sorry bout my ranting but so far all I have heard are things that leave a bad taste in my mouth, because being a comp tech even if I avoid it like the plague personally on my own systems, im sure many of my clients will be bought in on this trendy step into the future and I will be forced to sit in front of plenty of machines with Win 8 and deal with it anyways. But hey I could always be wrong and it turns out great, wouldnt be the first time by a long shot, but at the moment I just cant see the silver lining in this thing. I am sick of updating just so Microsoft can make some more money, each time I lose more and more programs to the legacy bin. I am sticking with Win 7 until they have something truly worth offering. More Vapor Ware. If they are so confident, why don't they just do it and tell us about it when it's done. And if they are so innovative, why haven't they already done it. Sure they have 90% but that is because no one really understood that Apple Mac simply better, that 90% will soon be 50% if Microsoft don't get this one right first time, like Apple did with the iPod, the iPhone and the iPad. If you look closely Microsoft has always been a Mac "want to be" for example GUI, Tablets, MS Storefronts, AppStore, ..... but it;s not. I imagine that under that shiny new windows Metro UI is something that look a lot like plain old DOS. And remember the last time they promised their OS would run on all platforms / hardware. (Windows NT) it lasted for the pre-release and after that the abstracted kernel would only support one architecture. I just feel that most of the windows is pretty similar, except the addition of the Rain Omnimo theme.... But few additions like Transfer speed graph, multiple transfers side by side and pausing seems to be a good one. I am pretty excited to get a hands-on experience. When is the first official beta expected to be released ? And thus. LINUX REMAINS THE SAME. Who else feels that a touch-based interface is a terrible idea for desktops? It's annoying enough to clean my laptop's screen from dust and other unidentified gunk, and MS is suggesting that "the future" will be covered by fingerprints? You don't have to use a touchscreen, you can continue to use mouse and keyboard. the standard desktop is still going to be incorperated in to the ui along with the other metro ui, it's not a seperate app.. I'm afraid I couldn't see the entire keynote today. When I wrote the article over a week ago, the latest information was that the desktop in Windows 8 would be accessible as or like an app.